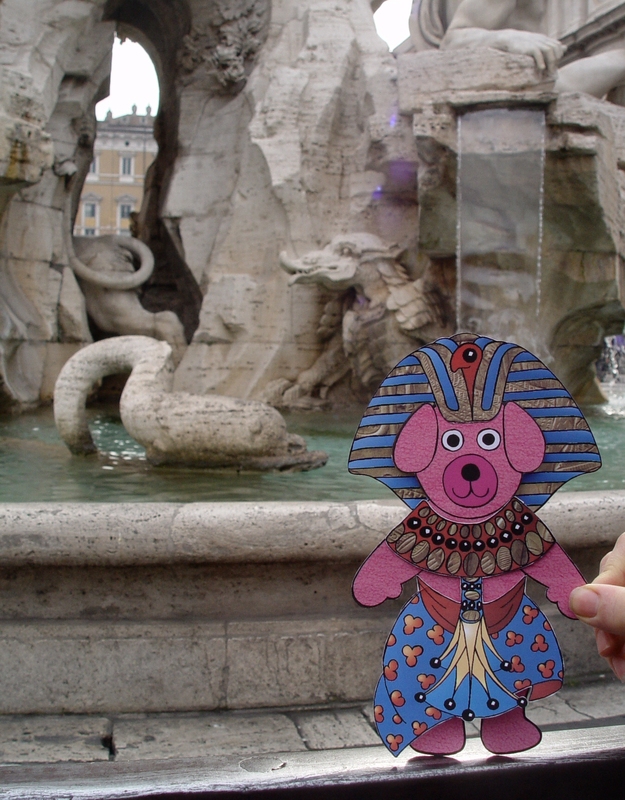 This week Teddy and I visited Rome to see old friends. 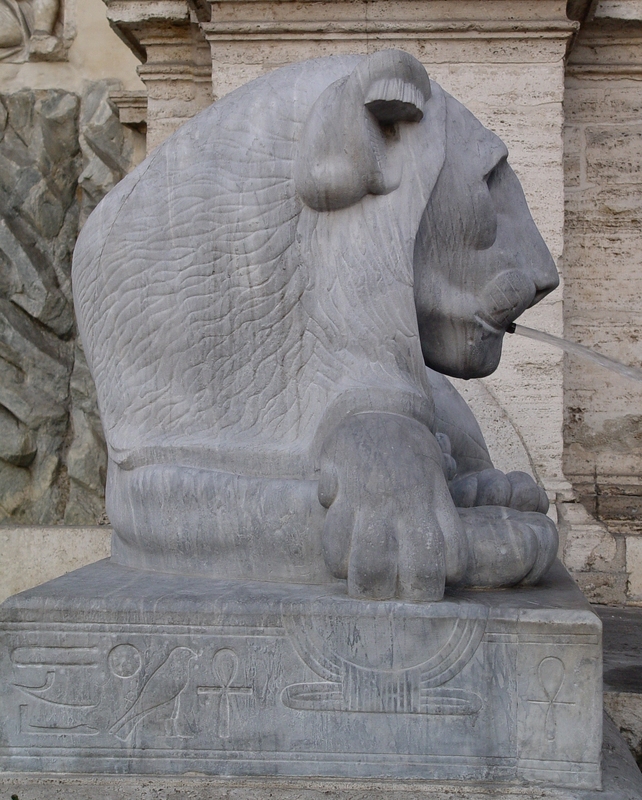 Teddy insisted wearing his best Egyptian outfit to please the frail old Cordonata Lions near Capitol and their cousins at Piazza del Popolo and at Fontana del Mosé. 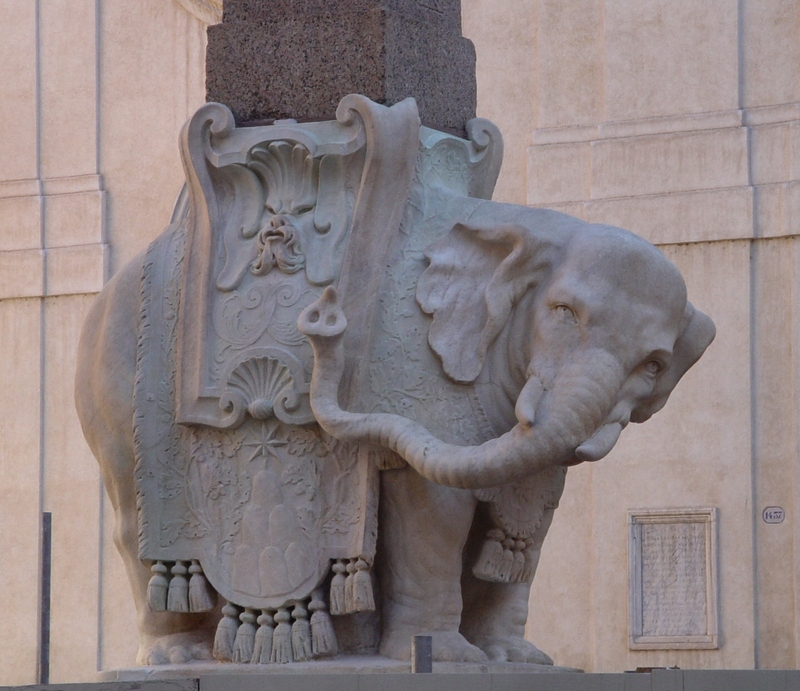 The Elephant at Piazza di Minerva was undergoing the spring cleaning of the century. 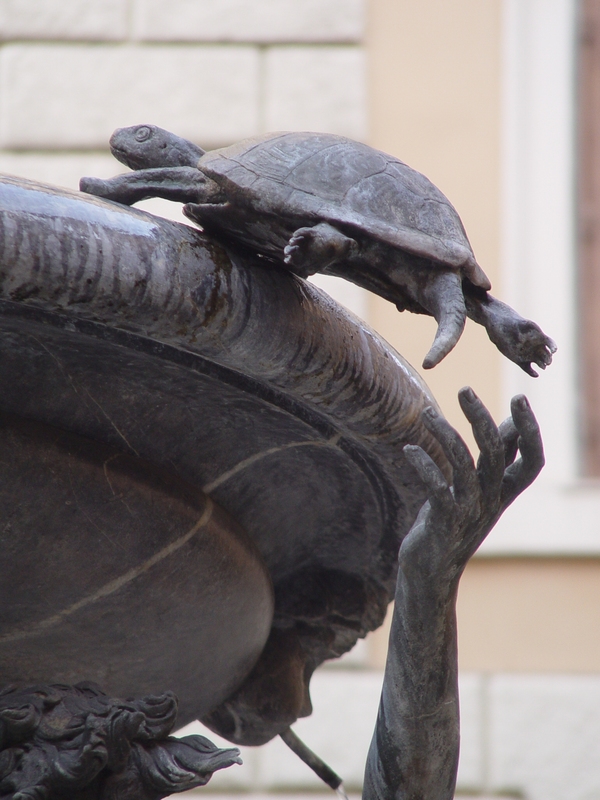 The crocodile in the fountain of the Four Rivers at Piazza Navona looked kissable as always and the turtles in the Fontana delle Tartarughe were still striving to reach the basin. 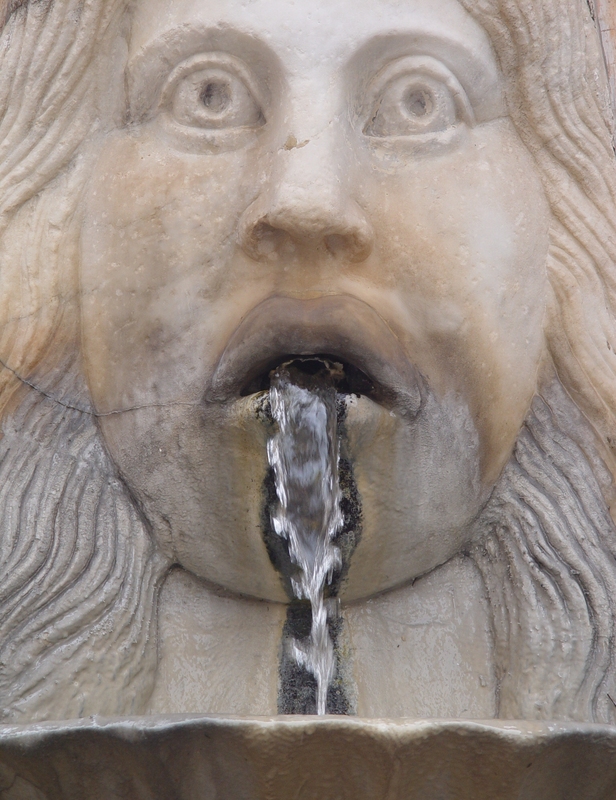 The fish at the Fontana della Rotunda were as fierce as ever and my favourite the Mascherone in via Giulia still looked surprised. We pushed our interests forward in time from classic and baroque to contemporary and visited both MAXXI and MACRO. The meals were preferably taken at Felice a Testaccio. 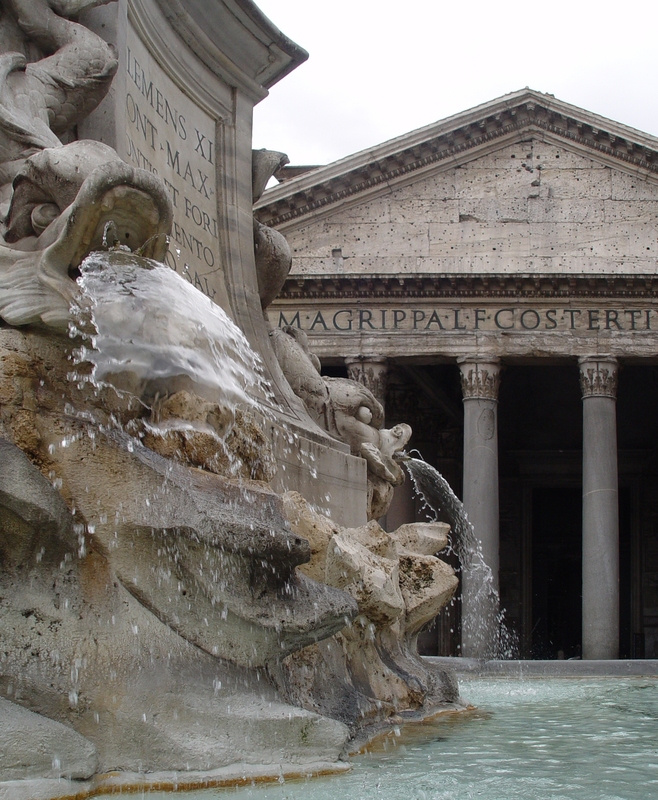 Roman food is gorgeous – however fat – and we made amends at the vegetarian Il Margutta.